How To Add Music From Spotify To Instagram Stories? Instagram | One of the most useful features of Instagram is Stories, which allows you to capture instant videos or publish a couple of photos that look like a slideshow. The photos and videos will disappear after 24 hours and will not appear in your profile grid or in your feed. Instagram Stories is an amazing way to connect with your audience in a fresh and authentic way. If you're creating an Instagram story, one of the great ways you can make your posts more interesting and entertaining is by adding a piece of music or a sound effect to your stories. You do not know how to add music to your story? Do not worry. It is simple enough to do it. 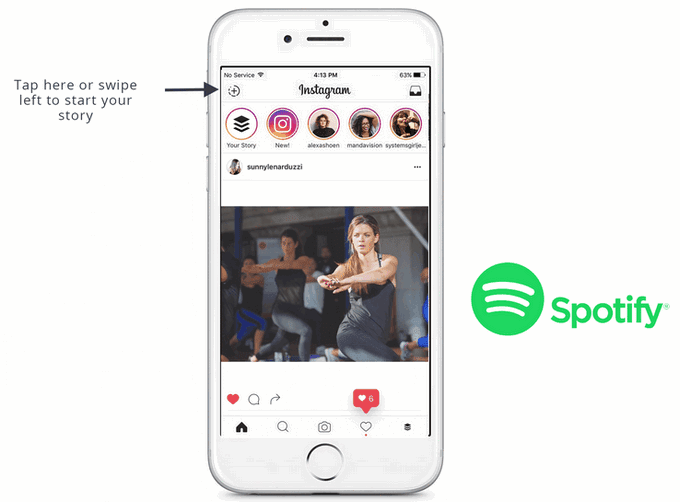 There are two methods to add music from Spotify to Instagram. The first method is via the Instagram application and the other via third-party applications. Step 1: Open the Spotify Music app and locate the song you want to add to Instagram Stories. Step 2: Then you have to select the song you want to add to your Stories and press it. Now use the time bar to choose the section of the song you want to add. Then stop the song. Step 3: Then start Instagram and make sure you are logged in to the account. 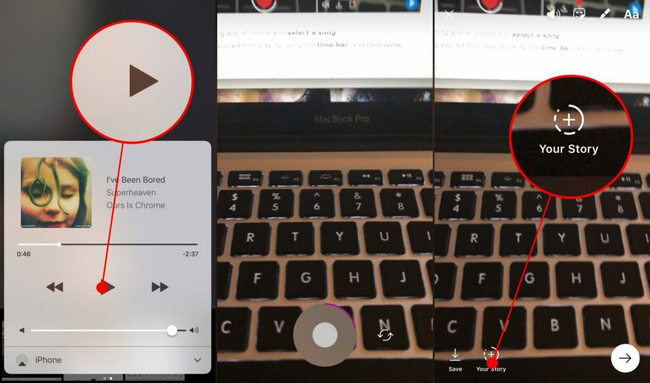 Step 4: Then play the desired song in Spotify and record your video by pressing the Camera button in the upper left corner of Instagram to open the Stories camera. As Instagram allows you to record the video while playing a song, it will automatically add the song to your story and that's it !! The songs are added. 1) Download Spotify music to MP3 / AAC / FLAC / WAV: As all Spotify music is DRM-laden, you need to use a Spotify music converter like Spotify Music Converter to remove DRM from Spotify music and download from the music from Spotify to MP3, AAC, FLAC or WAV with 100% original quality. 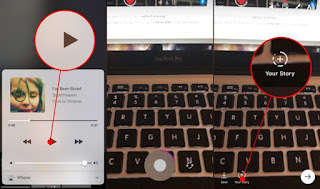 2) Use third-party software to import your audio file into the Instagram video: A number of the time, we want to download a previously recorded video and add the background song in the last step. 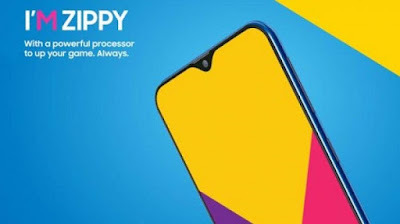 There are some apps specifically designed to take any video you have saved on your phone (or tablet) and merge it with an audio file to create a work of art that will duplicate people throughout the day. The app that comes to the rescue is the InShot Video Editor, which is available for Android and iPhone users. 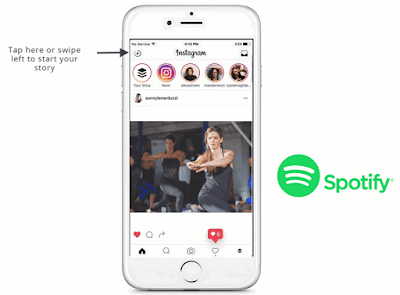 In the following guide, we will show you how to download Spotify music to MP3 to add it to your Instagram Stories.